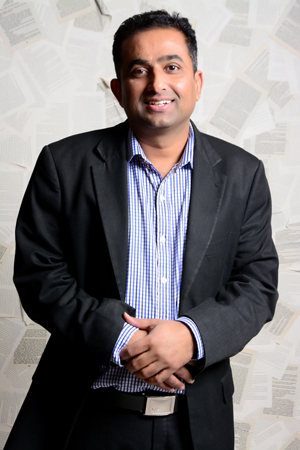 Hitesh Changela is CEO of CRM Ultimate Limited, an innovative software technology company, based in the UK. He helps small to medium size businesses by increasing their efficiency and sales. He makes it easier for businesses to create, track, and keep customers for longer periods of time, if not for life. After extensive research,competitive analysis and customer requirement gathering from business owners and managers based in the UK and Ireland, he envisaged the need for CRM Software to help businesses. He then undertook the development of a CRM(Customer Relationship Management) software system called CRMUltimate. His software system CRM Ultimate is currently one of the most flexible CRM systems in the market worldwide and is constantly evolving to serve their customers even better. Hitesh has successfully helped clients in various industries such as insurance, technology, telecoms, construction, auto,cleaning, non-profit organisations and health & fitness industries. Hitesh has worked in the IT industry for more than 16 years including over 6 years at Microsoft Ireland. He also worked extensively with multinationals such as IBM,Intel, HP, Canon, CA, Research in Motion, Vivendi, SDL and FileNet. Hitesh is a voluntary management consultant with social-spiritual, non-profit educational organisations to provide consultancy as well as leadership and management training. He also advises on strategic planning, organisation structure and event management. He holds an MBA in Marketing. His ultimate aim for his clients is maximum sales,minimum effort.